Praise God, that’s awesome my brother. May the Lord continue to bless your ministry in Jesus name! Amen Bro I recive it! Wow! 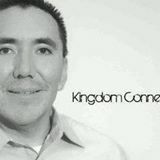 God rescued you from where you were and now you are a great servant of God, and are a tremendous blessing to KCC! God is good! We love you!